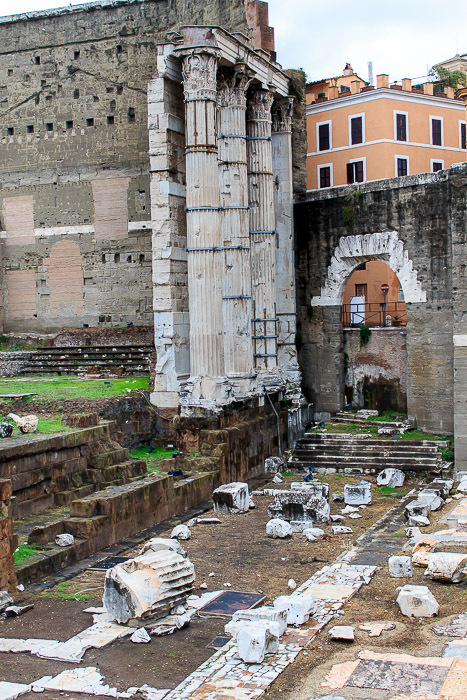 The Forum of Augustus was the second of the five Imperial Fora to be built. 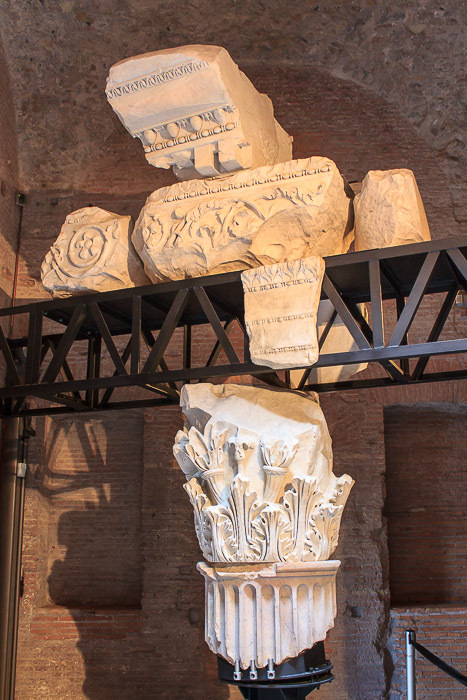 The most interesting part of it is located on the northeastern side of Via Alessandrina, the small pedestrian-only street northeast of Via dei Fori Imperiali, but part of it is locaed between those two streets, and part of it is buried under those two streets. 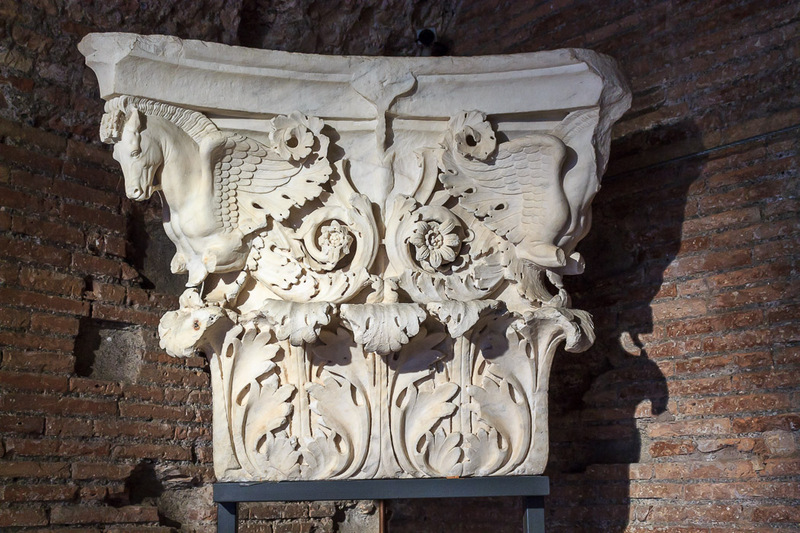 Three of the Imperial Fora are next to each other in this space. 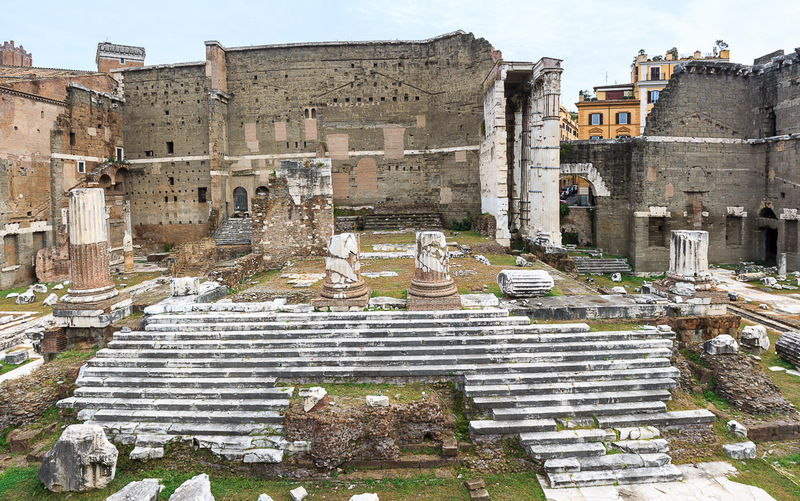 The Forum of Augustus is the center of those three fora, and is shown in the left 3/4 of the 180-degree 1st photo below. 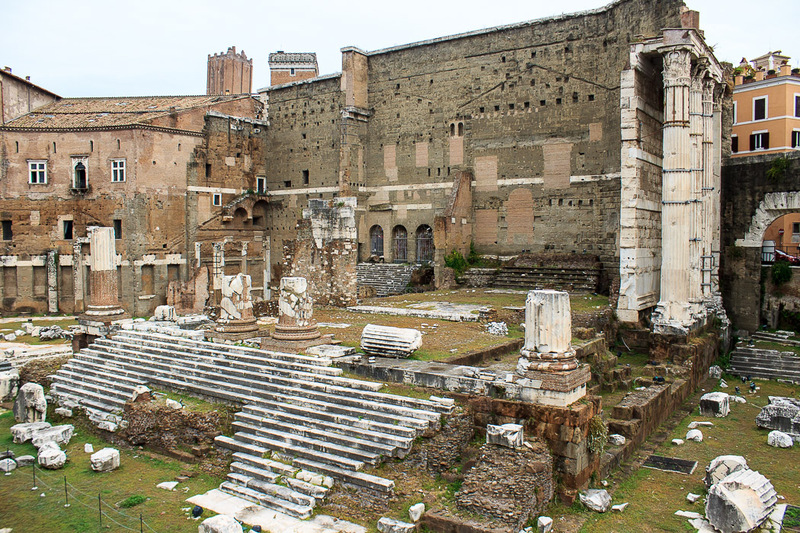 It runs from the rough stone wall at the left edge of that photo which has pillars built into the bottom of it and a building on top of it, through the beautiful raised Temple of Mars Ultor with 16 white marble steps in front of it, past the inlaid colored marble floors to its right, until the rough stone wall curves outward toward us again. 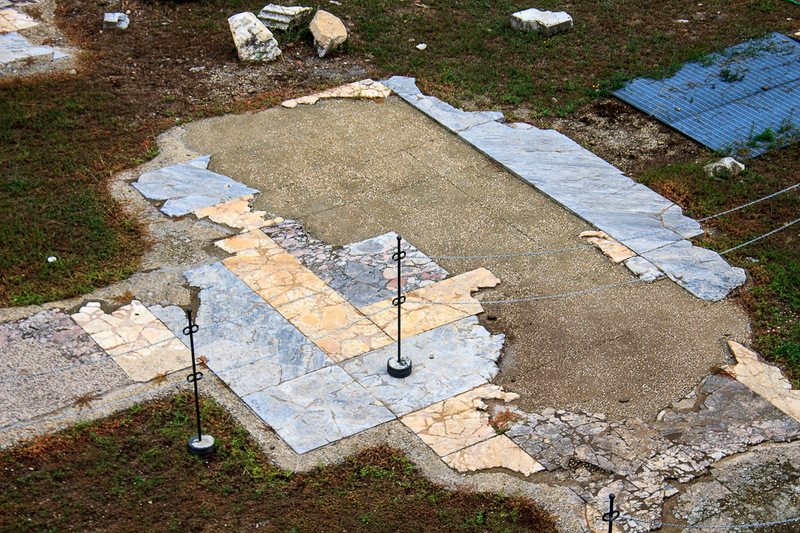 On the 1st photo below, that wall ends right in front of the leftmost of the umbrella pine trees. 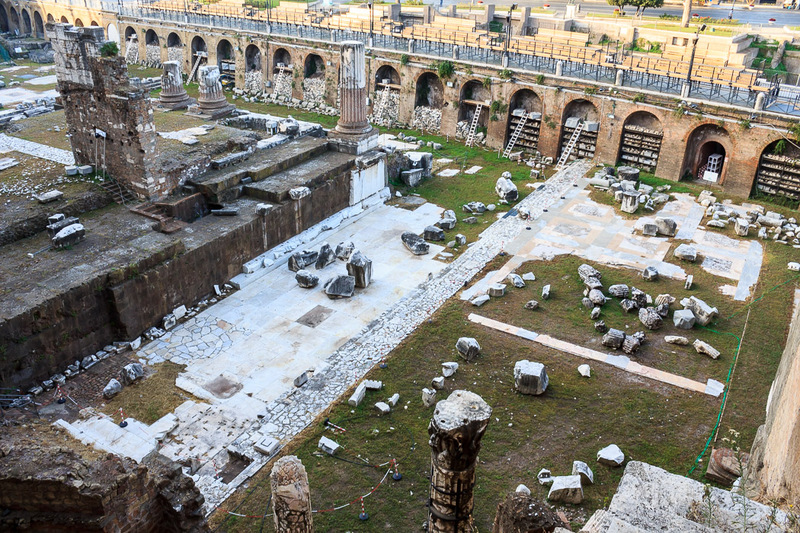 To the right of that wall until the end of the excavated area, is the tiny Forum of Nerva. 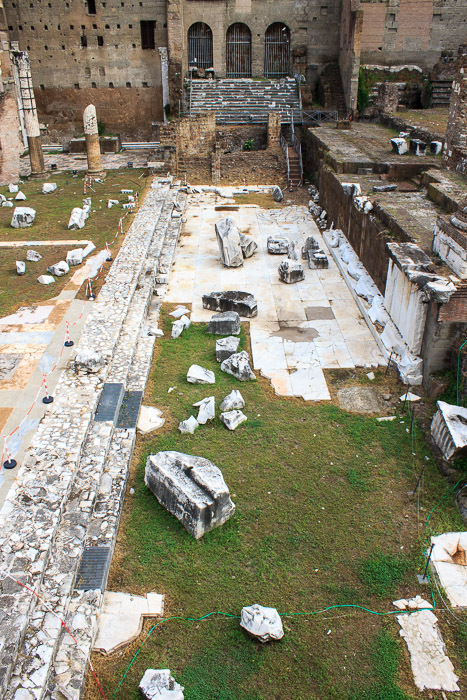 To the left of the rough wall on the left is Trajan's Forum with Trajan's Market behind it. 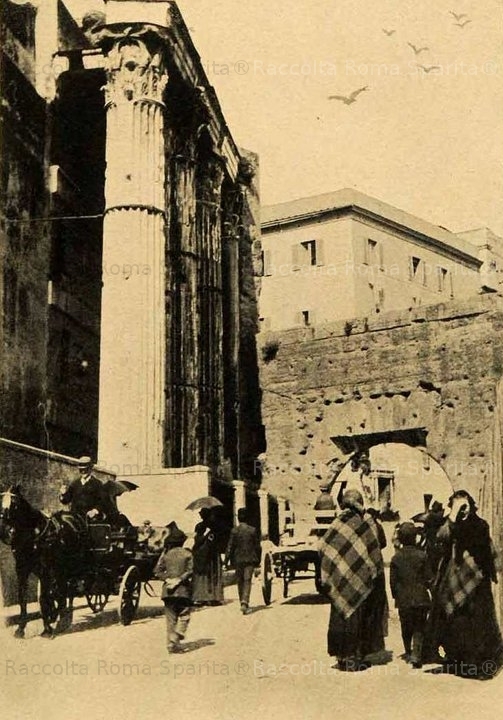 The 2nd photo below shows the statue of Augustus on Via dei Fori Imperiali, right in front of the Forum of Augustus. 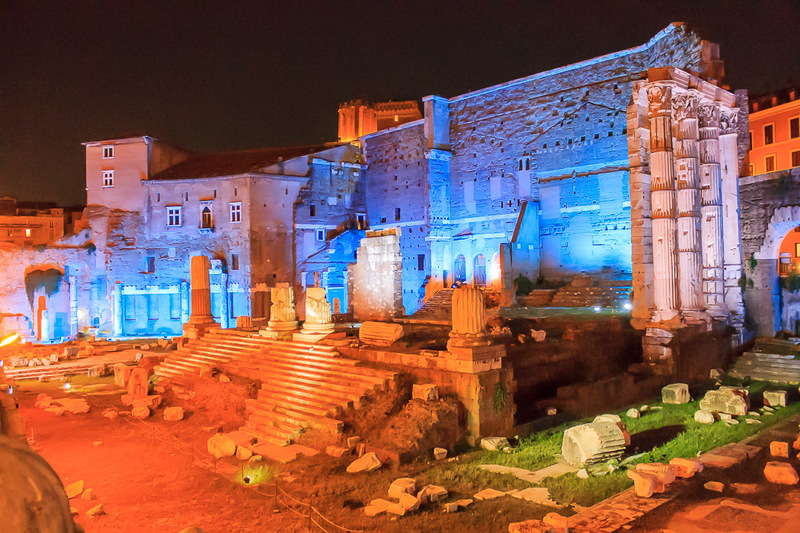 See all Forum of Augustus photos. 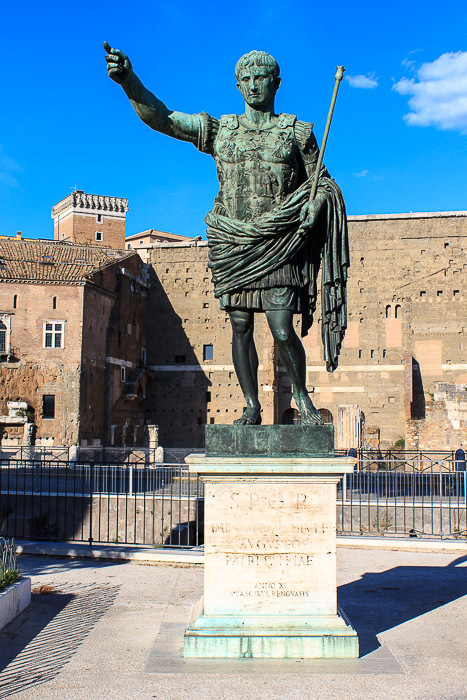 Statue of Augustus on Via dei Fori Imperiali in front of the Forum of Augustus. 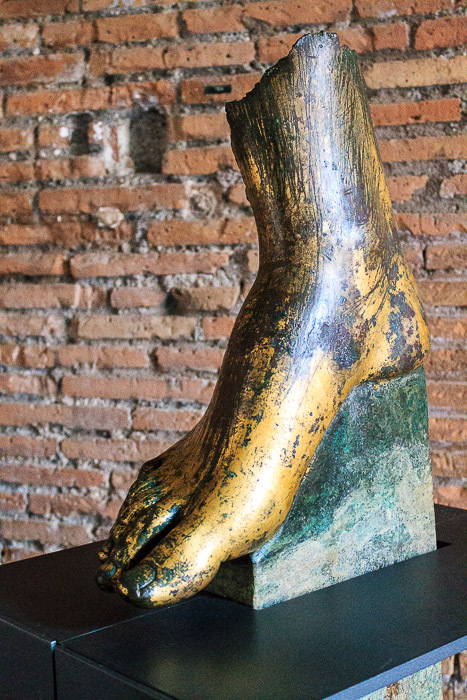 This is a bronze copy of the famous marble Augustus of Prima Porta. 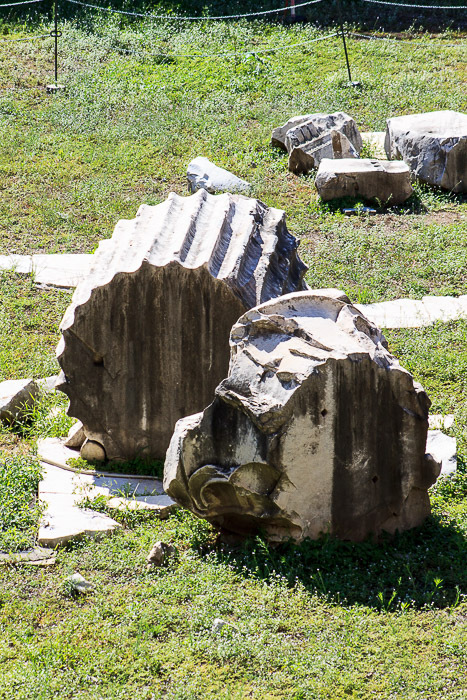 Octavian vowed to build the Temple of Mars Ultor (Mars the Avenger) (5 photos below) during the battle of Philippi in 42 BC, in which he and Mark Antony fought together and defeated the armies of Brutus and Cassius to avenge the assassination of his adoptive father, Julius Caesar. 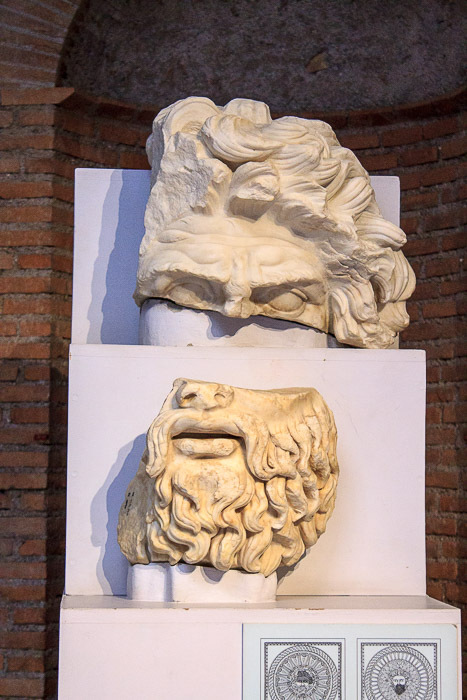 But times change and eventually Octavian and Marc Antony became bitter enemies and fought against each other, culminating in the battle of Actium. 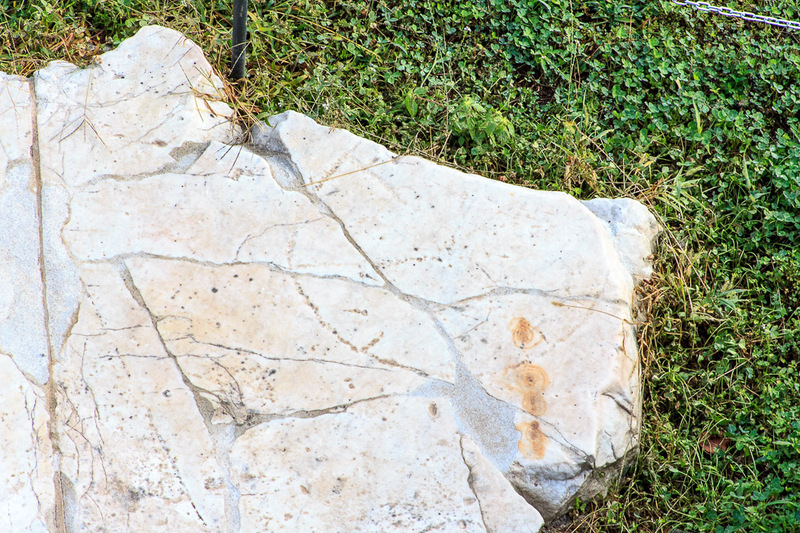 Octavian won, and in 27 BC he became the first emperor of Rome and changed his name to Augustus. 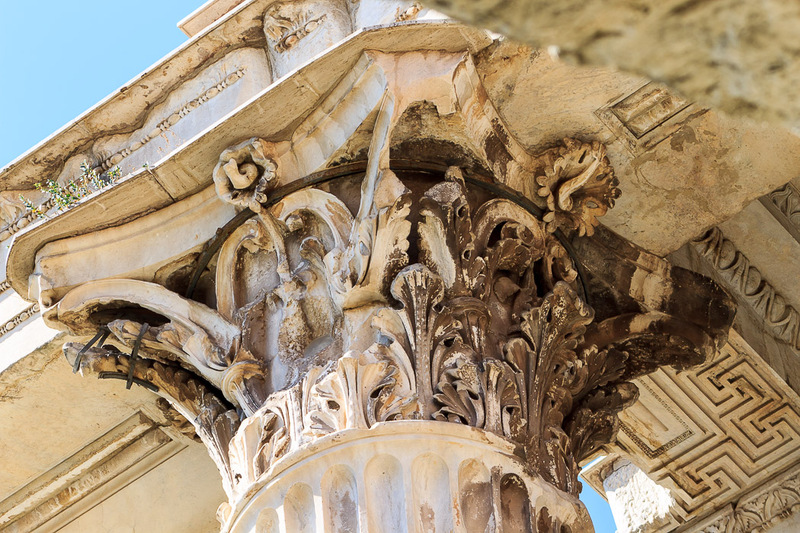 At that time, he began construction of the temple and the forum bearing his name. 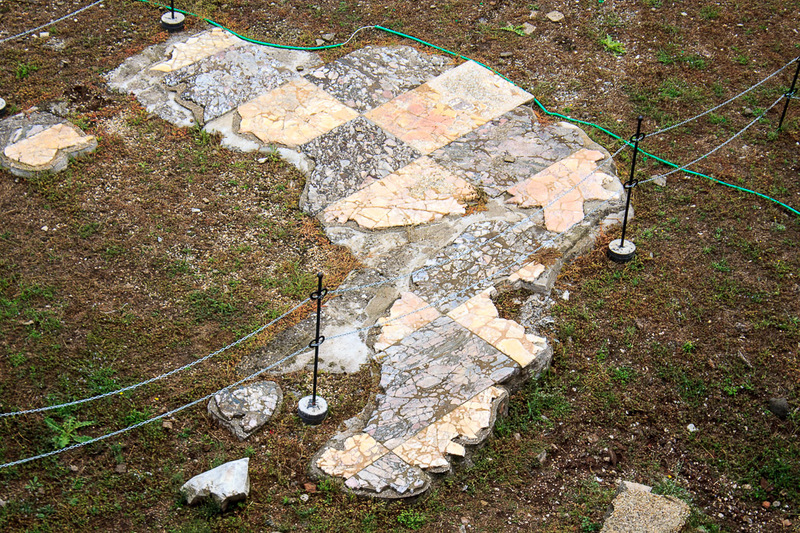 They were inaugurated in 2 BC, even though they were not yet complete. 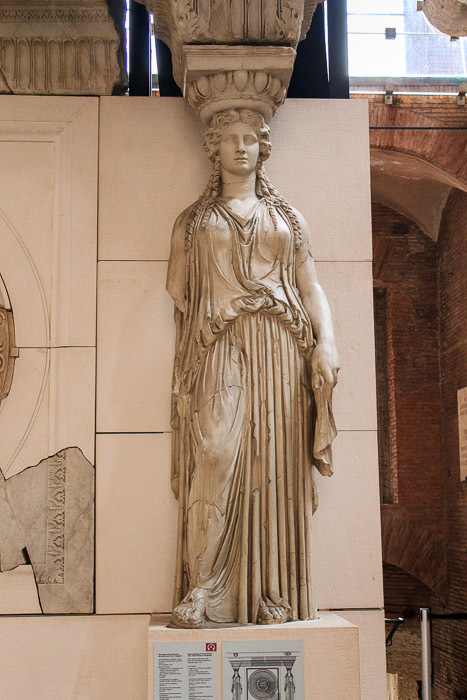 The Forum was filled with many statues, such as a statue of Augustus (naturally) in full military outfit in the center of the Forum, and of Mars and Venus in the Temple of Mars Ultor. 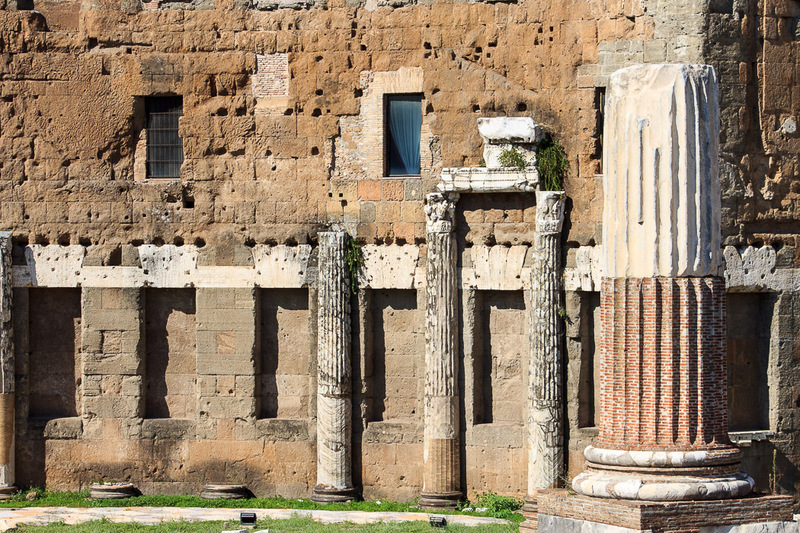 In all, there were 108 portrait statues, with inscriptions listing their achievements, mainly inside two long porticoes on either side of the forum. 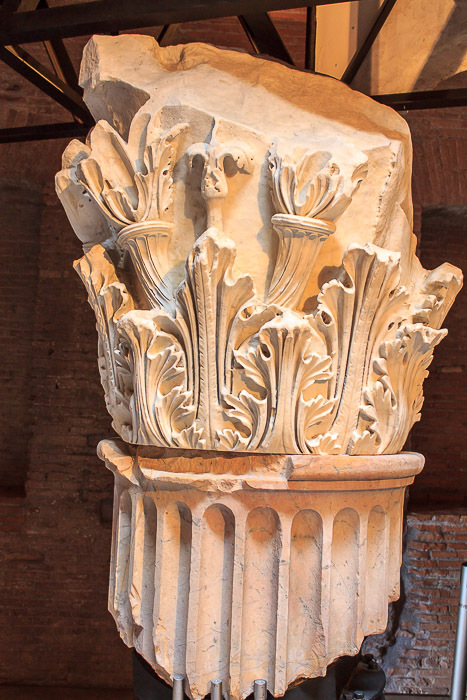 Statues of Romulus, the first kings of Rome, and a series of important Romans during the republic were housed in the portico on one side. 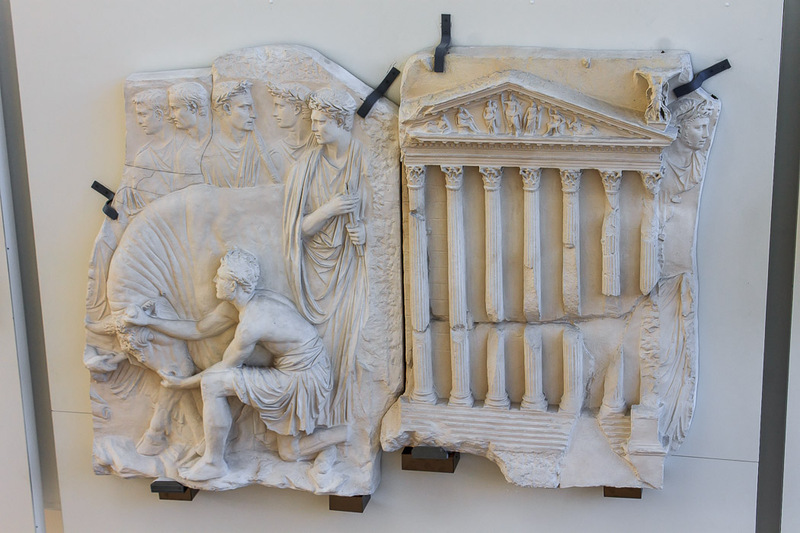 The other side featured marble images of Augustus' ancestors, beginning with Aeneas, the legendary founder of Rome, and on through the kings of the city of Alba Longa, to the family Julii, and right down to Julius Caesar, Augustus' adoptive father. 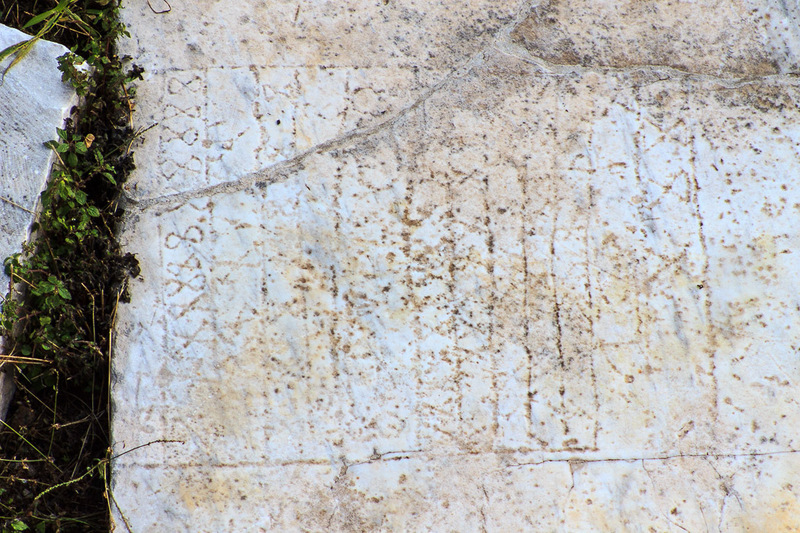 Part of the western wall of the forum is shown in the 6th and 7th photos below, and the eastern wall is shown in the 8th photo below. 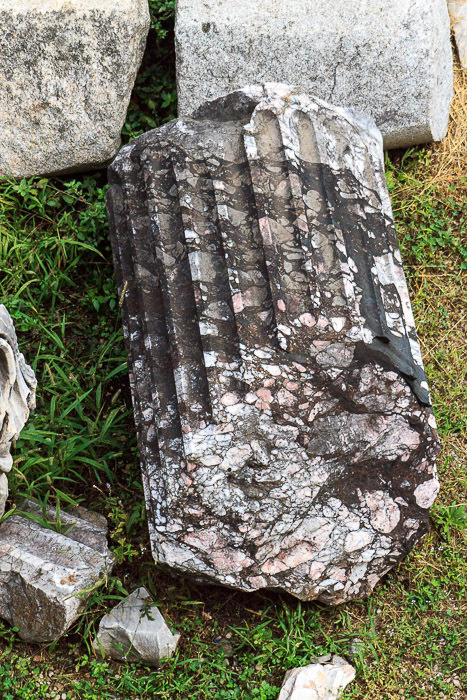 The niches in the wall in these photos once held these statues. 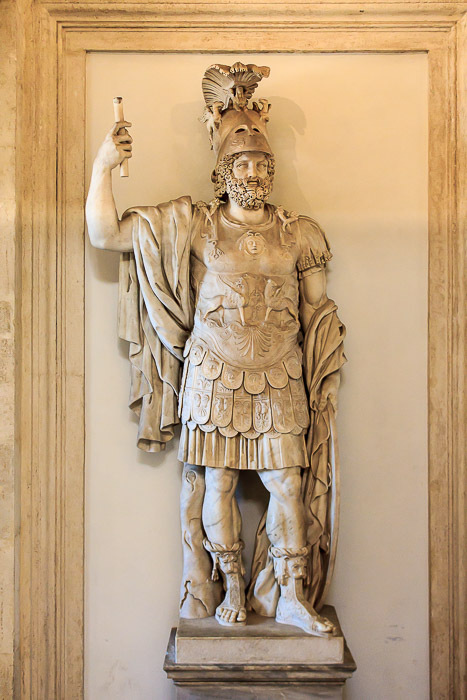 Five steps flanked by the legionary standards lost in a battle with the Parthians in 53 BC, and returned to Augustus by the Partians in 23 BC to avert war, led up to the apse, where a colossal marble cult statue of Mars stood. 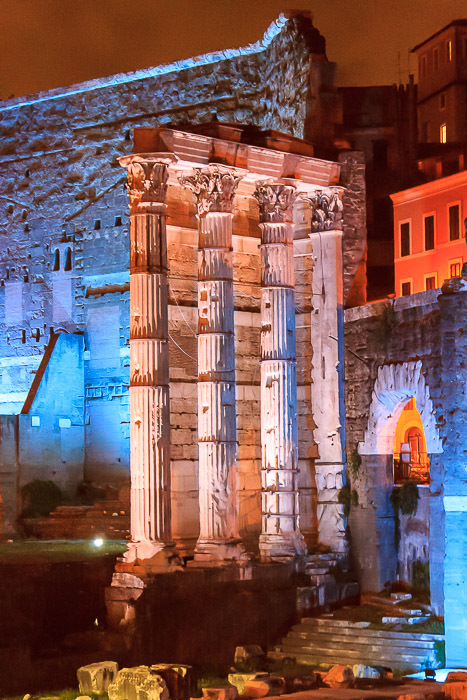 Augustus decreed that the Temple of Mars Ultor should be the meeting place for the Senate when decisions of war were taken. 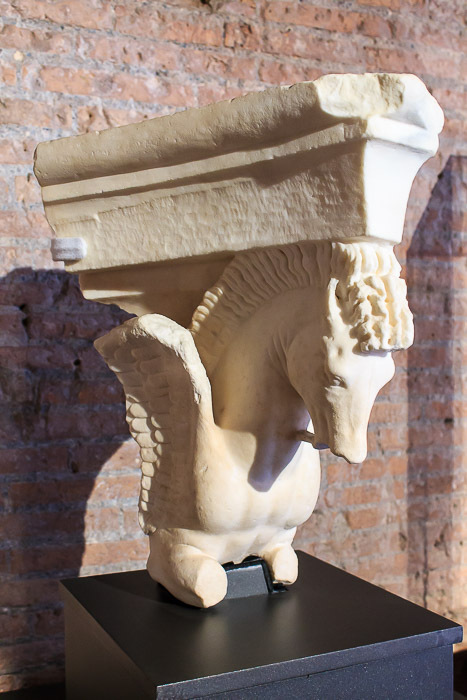 The temple was also the place where young Roman males were ceremoniously given their adult toga, thus becoming eligible for military service, and it was the official departure point for commanders embarking on military service in the empire. 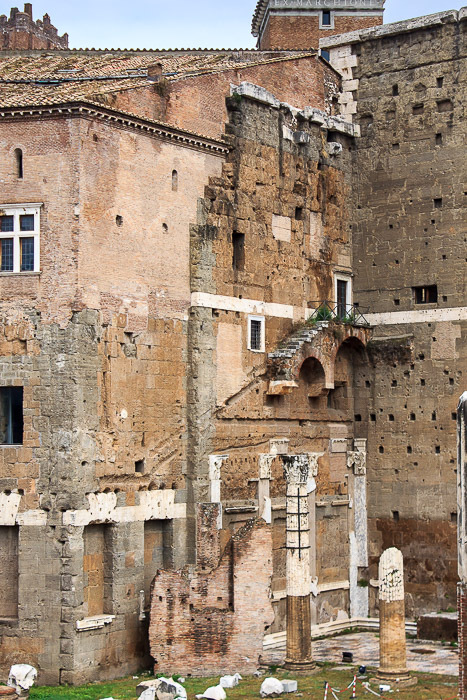 There are many cool details in the Forum of Augustus and the Temple of Mars Ultor. 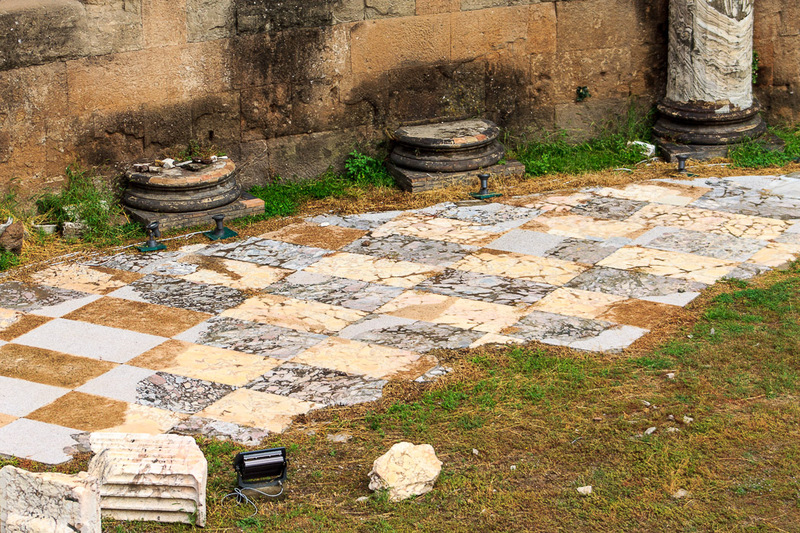 In my opinion, the best is an easily-visible rectangular game board at the foot of the steps of the Temple of Mars Ultor. 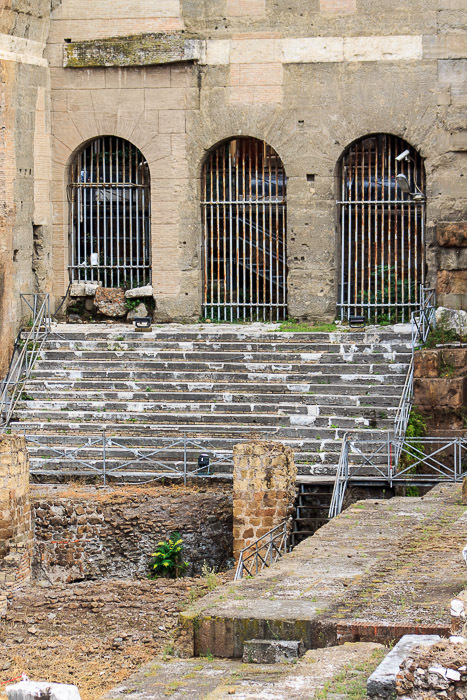 Look at the lower-right corner of the 3rd photo above and there is a slab of paving stones in front of the steps to the Temple of Mars Ultor. 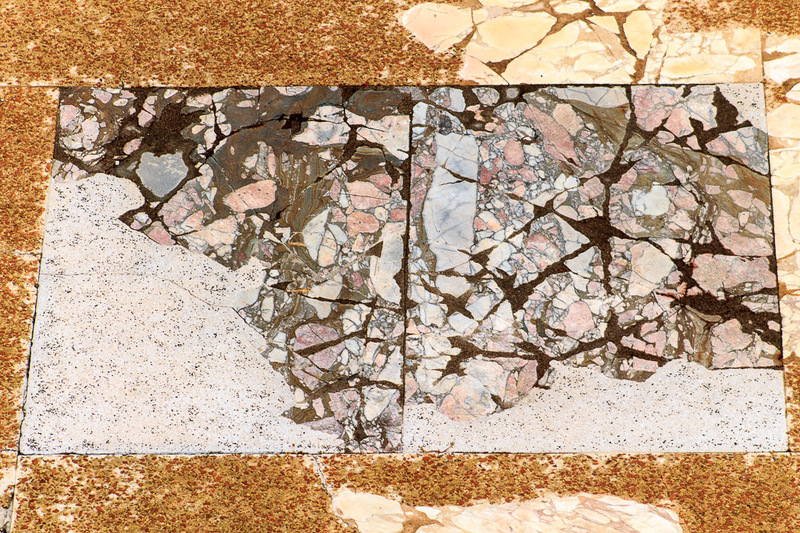 You can look straight down from the sidewalk on Via Alessandrina to see the view of those paving stones in the 1st photo below. 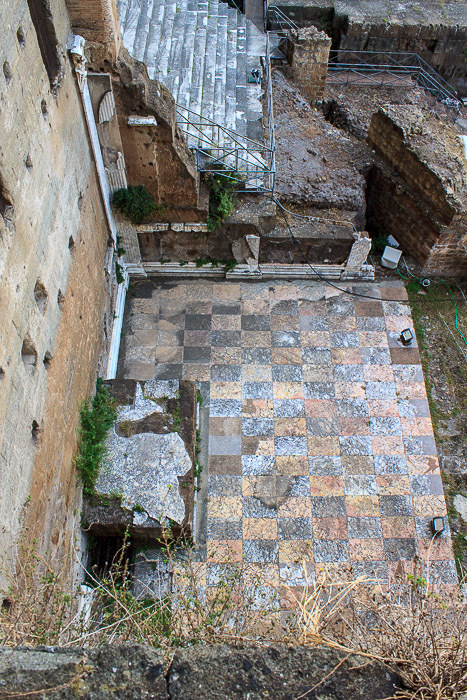 Zooming in on the bottom paving stone shows the best example of a rectangular game board that I know of in Rome (2nd photo below). I have no idea how a game might have been played on this board, but the infinity-symbols in the left column of the board are too too too awesome. 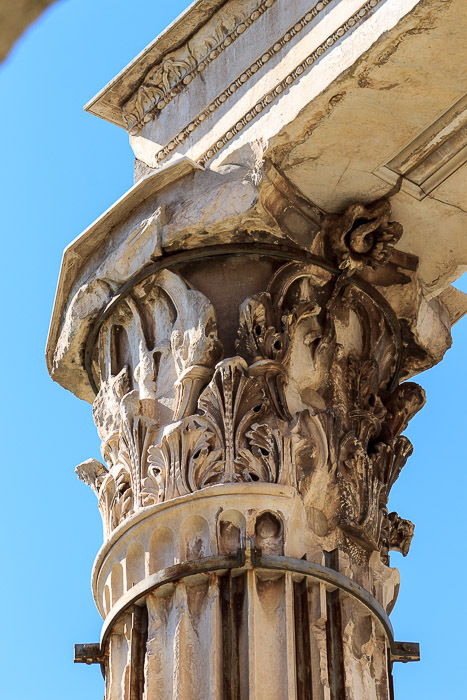 The symbol for infinity was not conceived until 1655, and the Roman symbol for eight was VIII, not 8, so what do these symbols mean? Above it is an unusual circle game board (3rd photo below) which consists of a large outer circle and a small inner circle. Another circle is to its right (4th photo below). 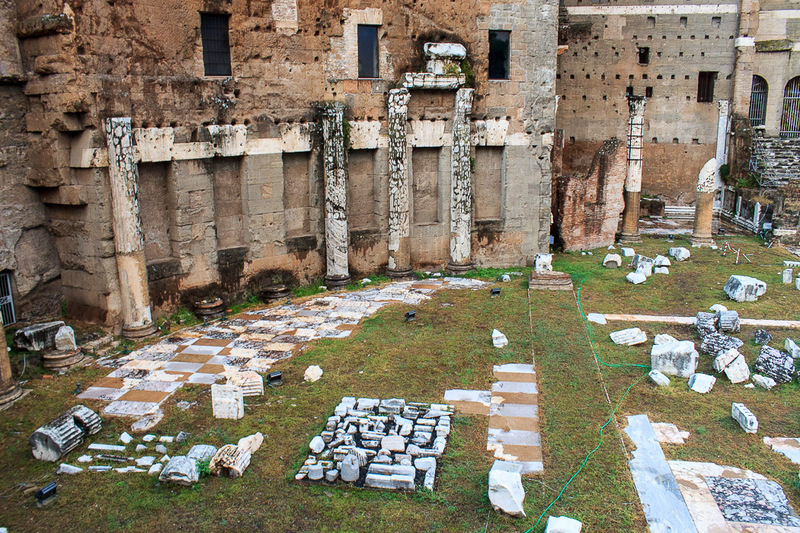 Bits and pieces of the floors of the Forum of Augustus are still intact, after having been buried under dirt for over a thousand years. 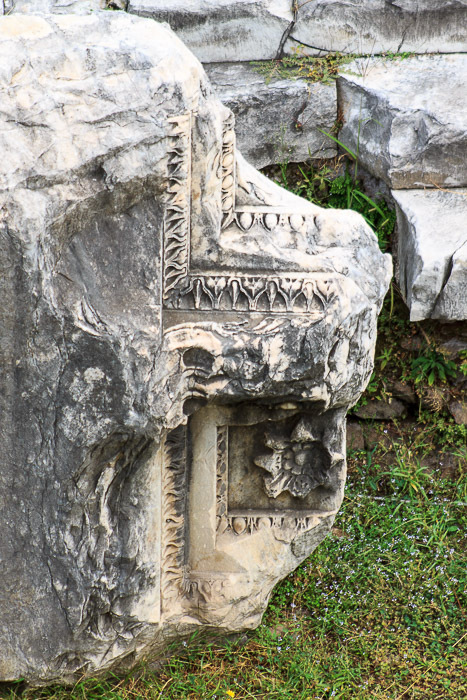 Some of these are shown in the photos below. 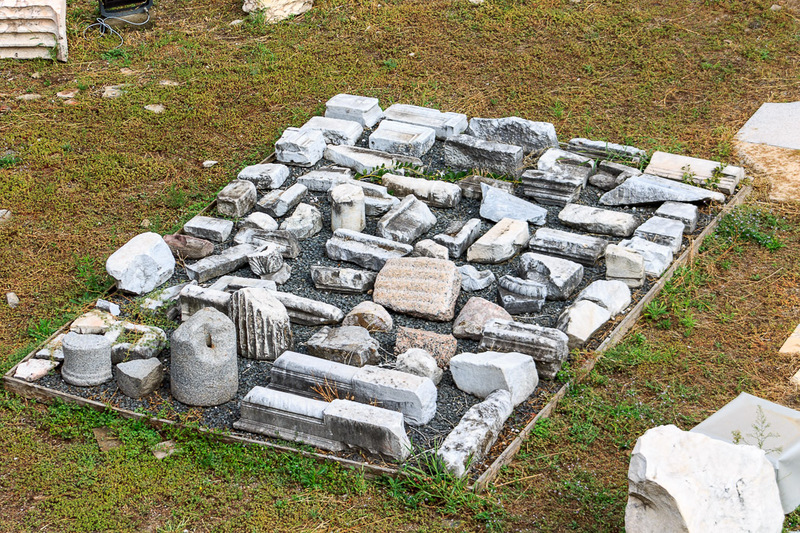 Interesting pieces of rubble are all over the floor of the Forum of Augustus, a few examples of which are below. 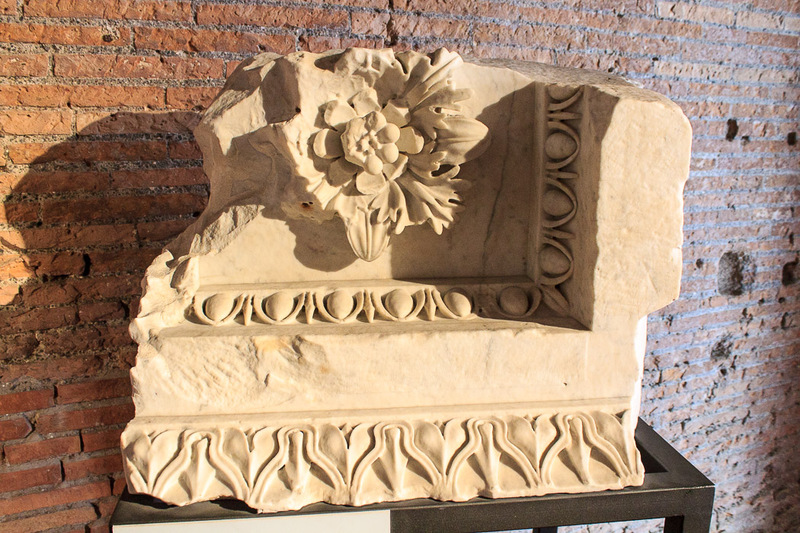 And many more artifacts from the Forum of Augustus are on display in the Museum of Imperial Fora. 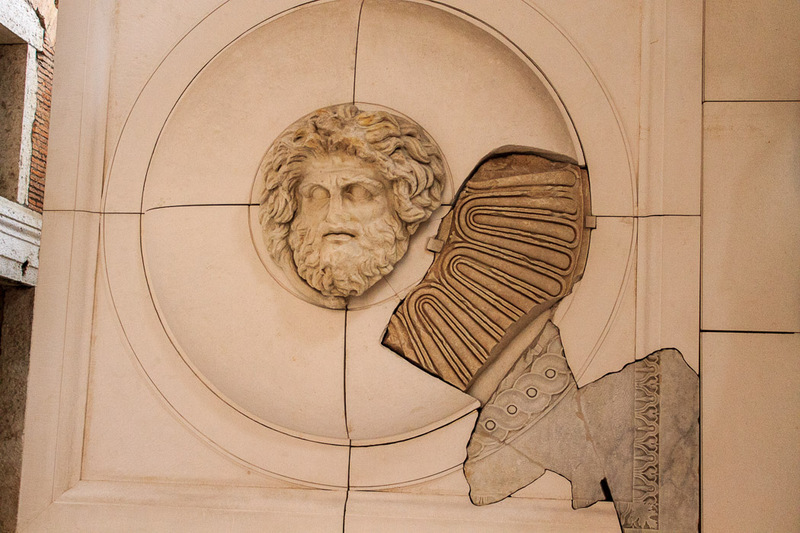 Notice how the last photo above looks the same as the 1st photo below, which is how I identified the last photo above as a piece of the cornice from the Temple of Mars Ultor. 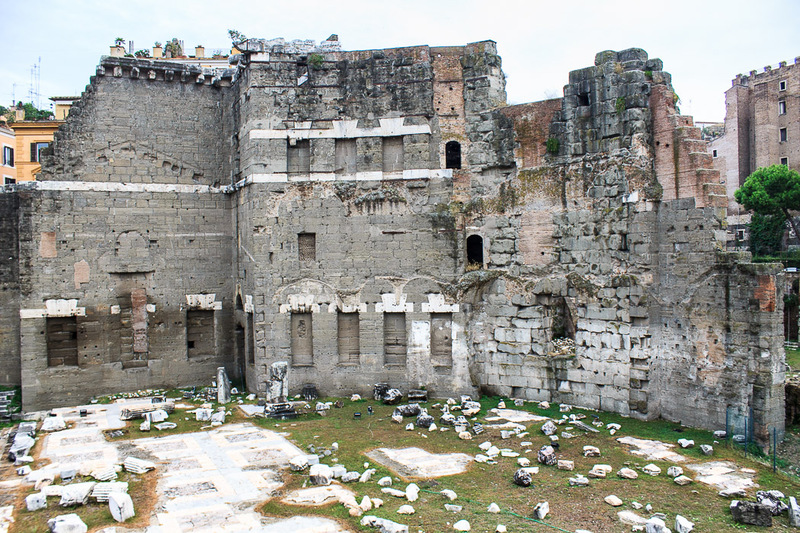 The left wall of the Forum of Augustus (1st and 2nd photos below) is one of the outer walls of the House of the Knights of Rhodes, which was built in the 12th century, reusing the wall of the Forum of Augustus, and reusing a beautiful colonnaded atrium from the time of Augustus. I've nicknamed the stairway that ends abruptly (and has no rail) the 'stairway to nowhere'. 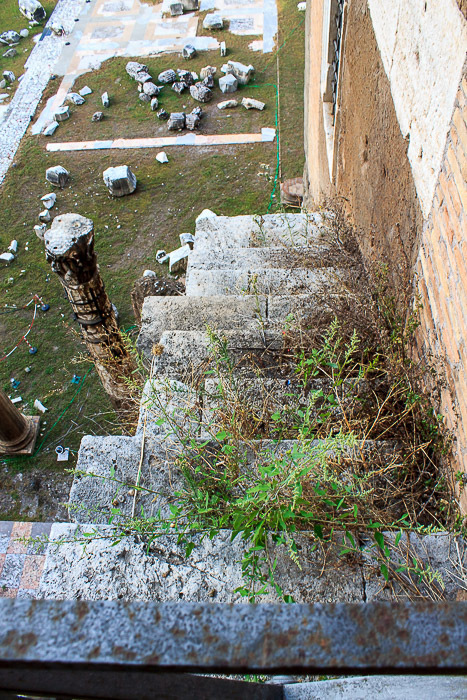 One morning when I snuck into the House of the Knights of Rhodes, I was able to stand on the balcony at the top of that stairway and take a photo looking down the stairs (3rd photo below) and out into the Forum of Augustus (4th, 5th and 6th photos below). 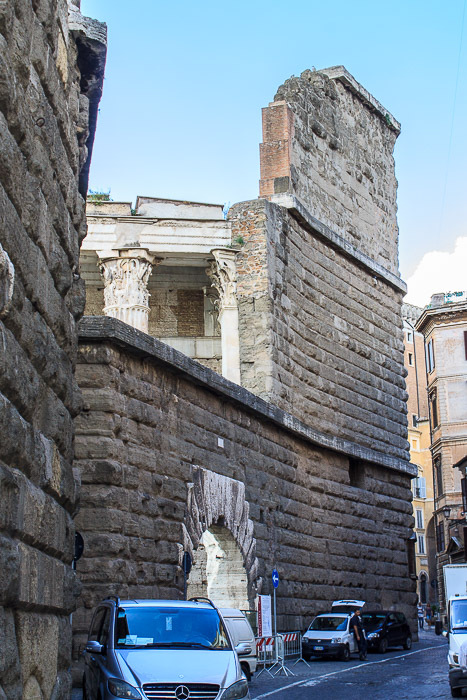 The back of the Temple of Mars Ultor and the Forum of Augustus consisted of a very tall wall which still stands. 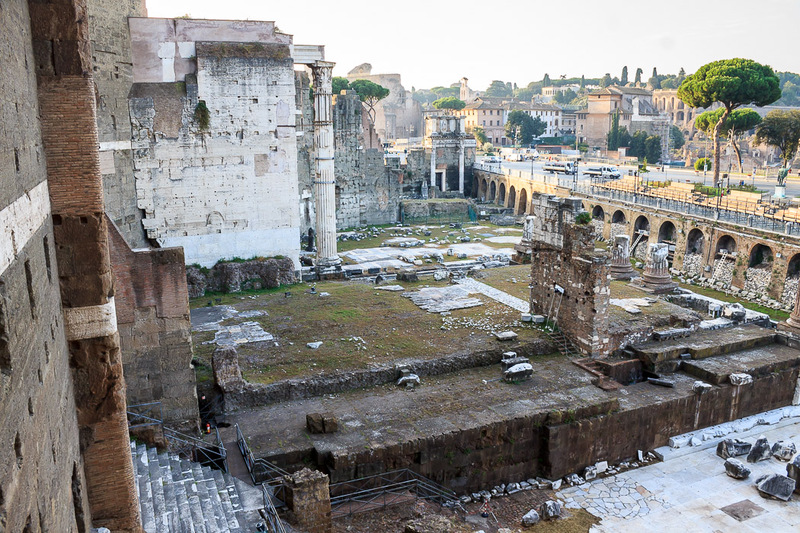 It was built to separate the forum from the neighborhood behind, and to act as a firebreak since there were frequently fires in the low-rent neighborhood which the elite didn't want to spread into the forum. 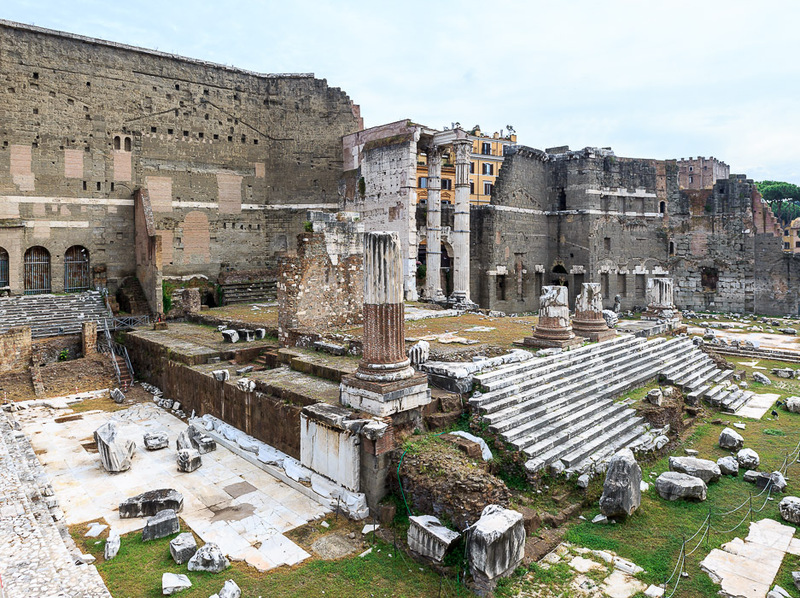 From the Forum of Augustus side, the grey wall is shown in the first few photos at the top of this page. 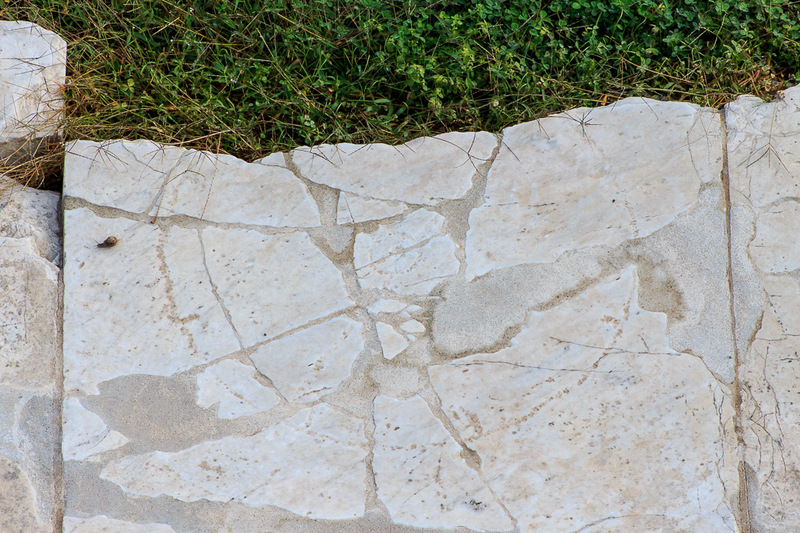 The neighborhood side of the wall is shown in the 1st photo below. 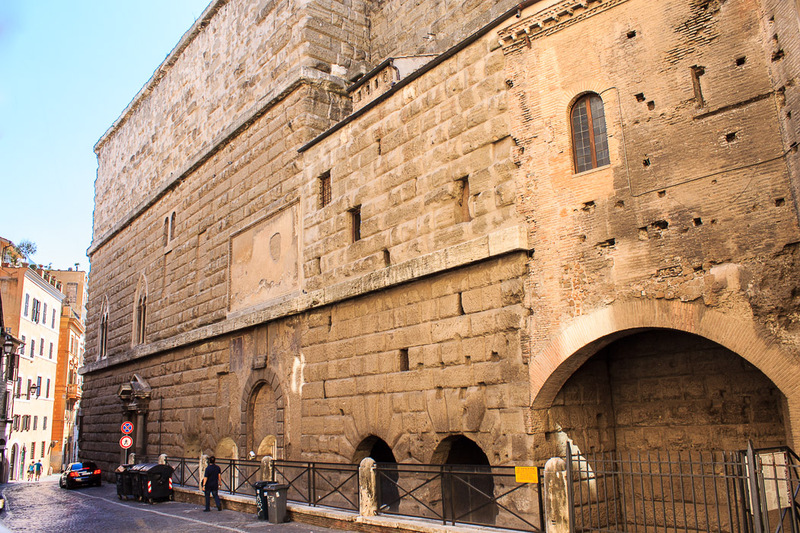 Today, a walk along Via Tor De Conti, the street behind the Forum of Augustus, provides an up-close, touchable view of this wall. 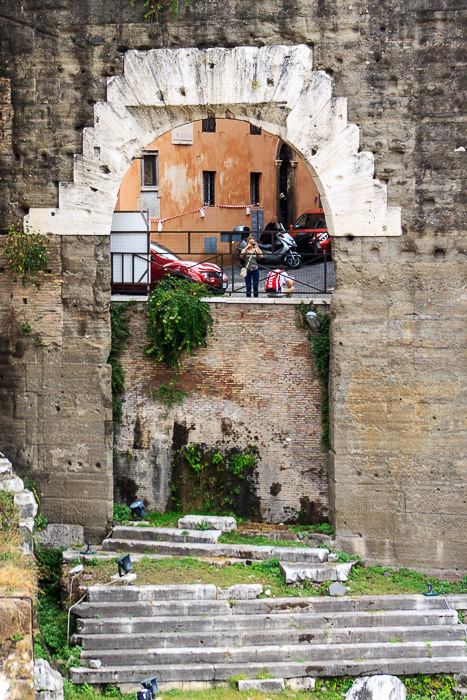 In 19 AD, Tiberius added two triumphal arches into this wall to commemorate victories in Germany by his son Drusus and his nephew Germanicus. 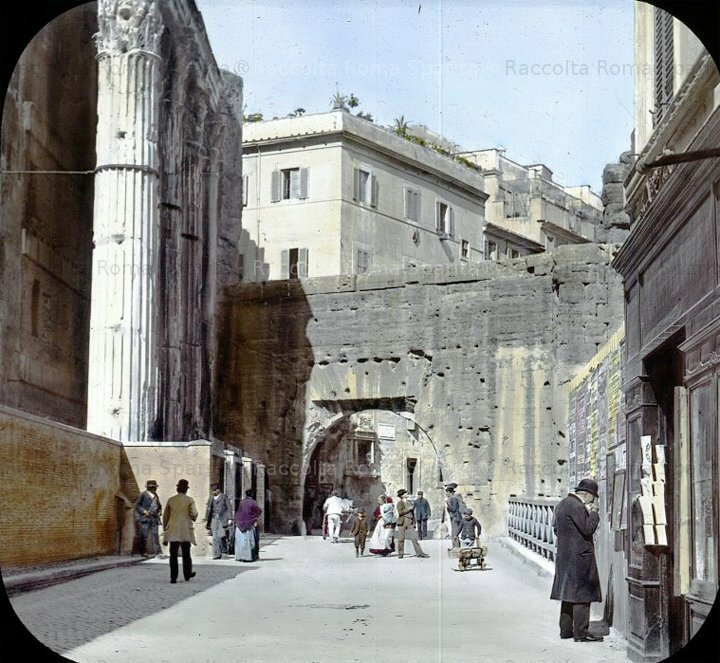 The triple-arch dedicated to Drusus is shown from the forum side in the 2nd photo below, and from the neighborhood side of the wall in the 3rd photo below. 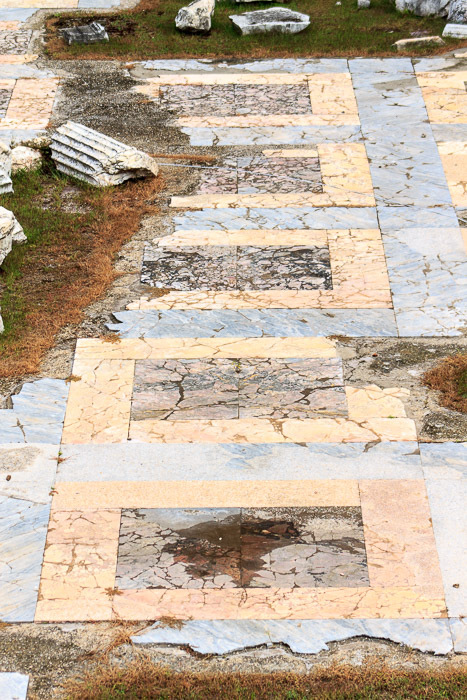 The marble paving within the Forum of Augustus in front of the triple-arch dedicated to Drusus is shown in the 4th photo below. 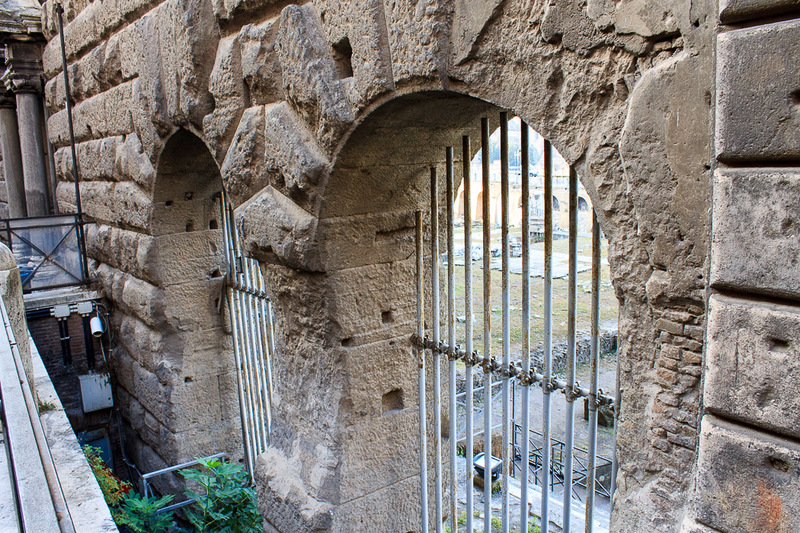 A peek through Germanicus' arch (the Arch of the Swamps) from the neighborhood side of the back wall of the Forum of Augustus provides the closest access to the columns of the Temple of Mars Ultor (1st, 2nd and 3rd photos below). 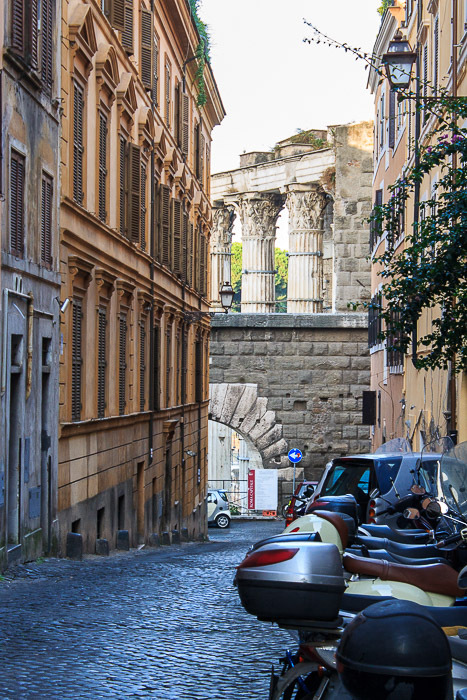 The view from a little bit further away, along Via Baccina, is shown in the 4th photo below. 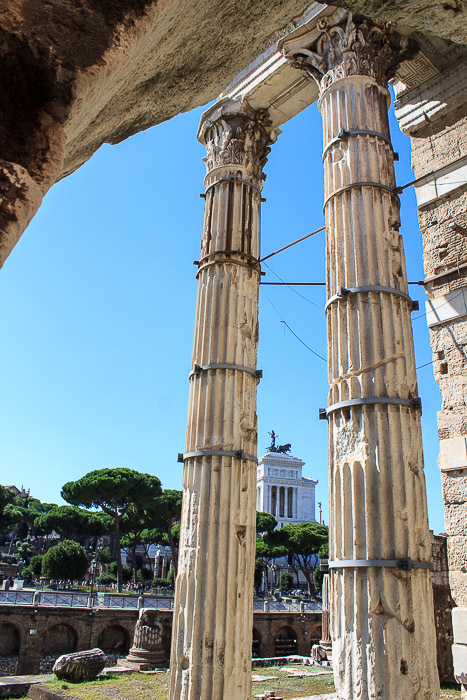 What a spectacular view of the columns of the Temple of Mars Ultor behind the Arch of the Swamps! 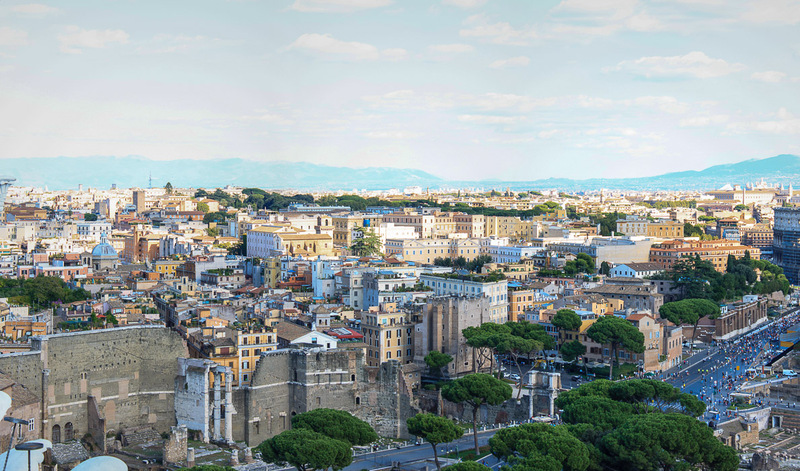 If you find the time to get to the top of the Victor Emmanuel Monument, you can see the Forum of Augustus (and the other Imperial Fora) as in the 3 photos below. 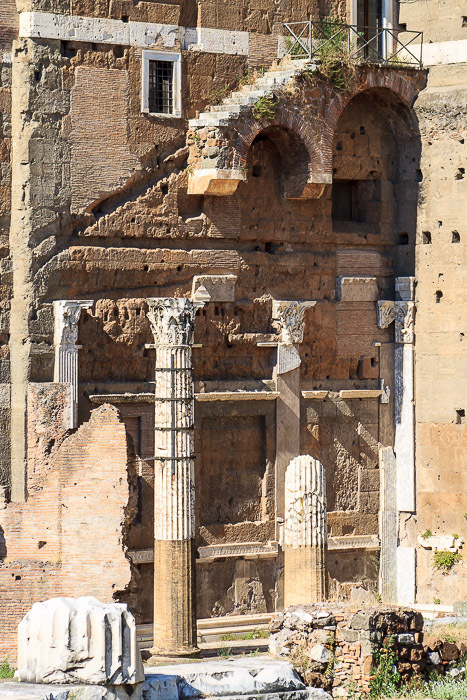 The Forum of Augustus can also be seen from the Palatine Hill (4th photo below). 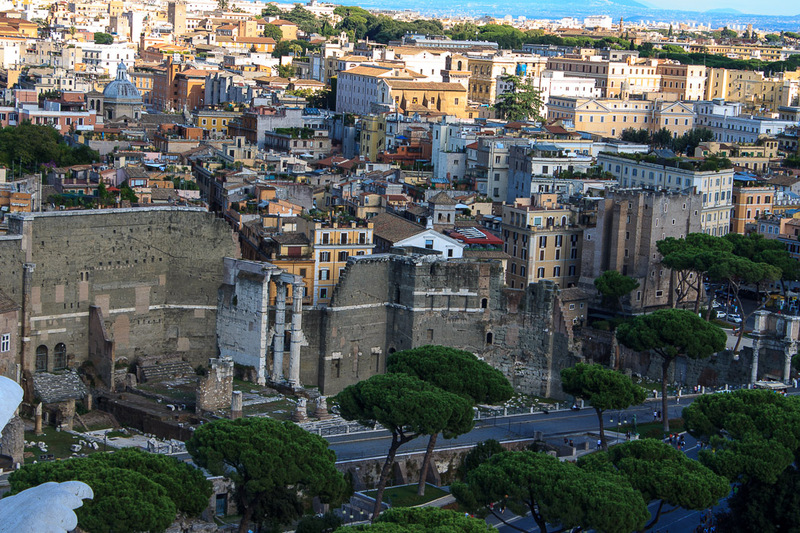 The view from Via dei Fori Imperiali at sunset is shown in the 5th photo below. 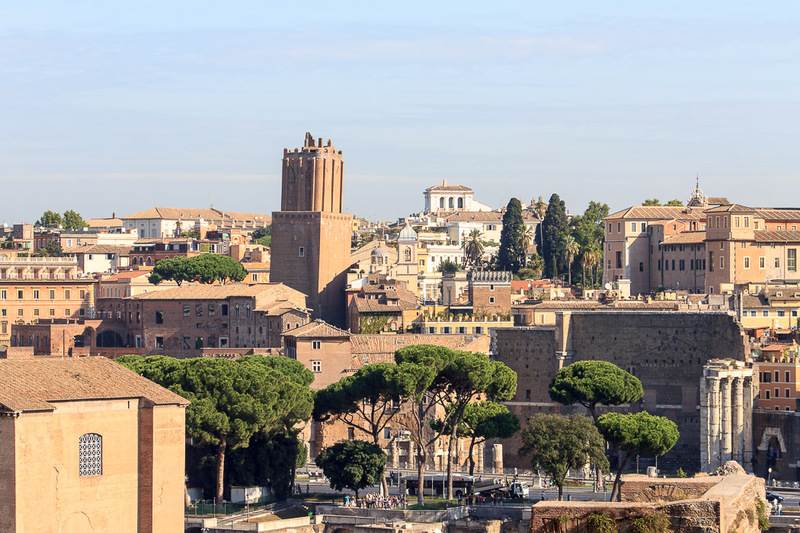 Trajan's Market (left), Casa dei Cavalieri di Rodi (House of the Knights of Rhodes) (center), Forum of Augustus (right), and Torre dei Conti (far right), at the Golden Hour, from Via dei Fori Imperiali (mosaic of 4 images). 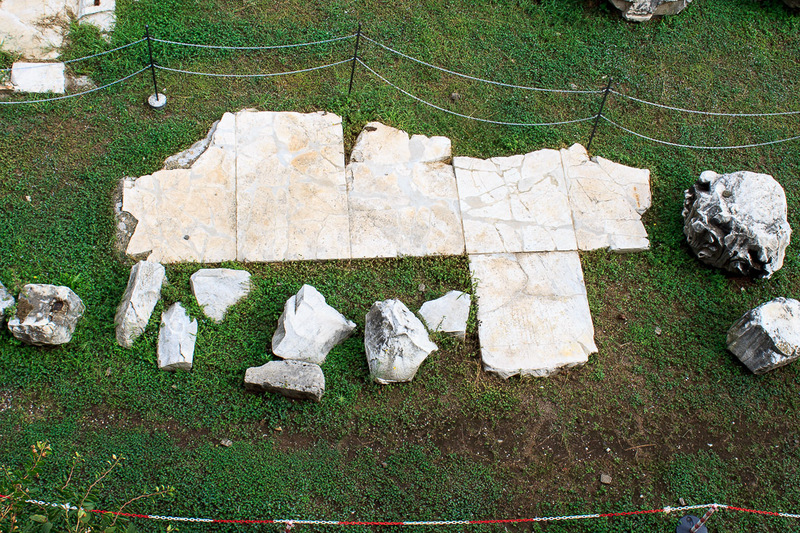 Via Alessandrina is the road between the camera and the identified ruins. More pictures of the Arco dei Pantani.